Despite a variety of bad televisions shows claiming to represent the state, it still has quite an identity crisis. People from the north align with New York, those in the south associate themselves with Philadelphia. I’ve spent most of my life believing that we should all boast the coast as our claim to fame, but a few young lads have pretty much ruined that image for everyone. South Jersey is where I grew up, where I spent the first 17 years of my life, so I feel fully willing and able to say this: We need to stop being pushed around. We have the second largest casino town in the States, arguably the best beach town for families, and now one of the Coolest Small Towns in America. And where do all the New Yorkers and Philadelphians go to escape their high rise apartments? That’s right – the Jersey shore. Located at “exit zero” on the Garden State Parkway, residents of Cape May might just have the coolest response to the stereotypical Jersey question, what exit are you from? 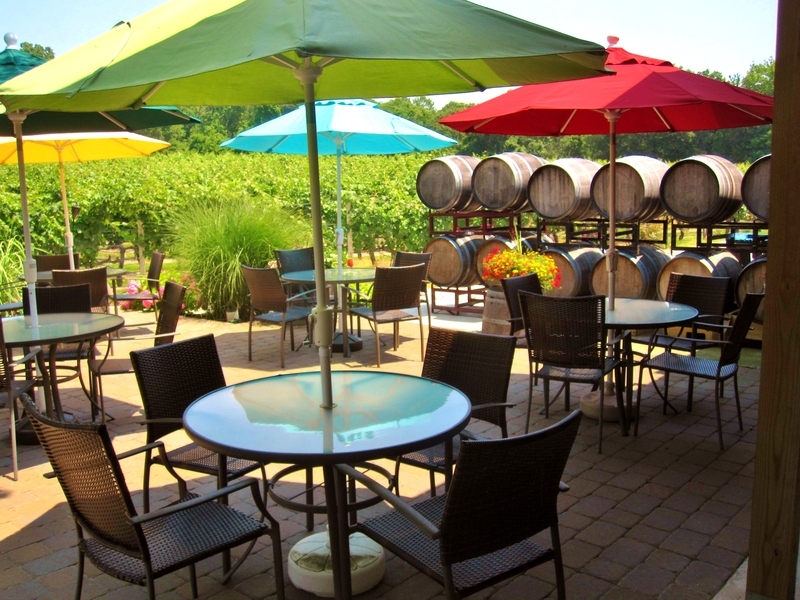 Cape May Winery: One of four wineries in Cape May, I found the tasting rooms to be beautiful and the Rieslings agreeable, helping without a doubt to cut through the hot day (mid 90s). I think it’s sort of cool that you can be on the beach one moment, then immersed in a field of grapes the next. 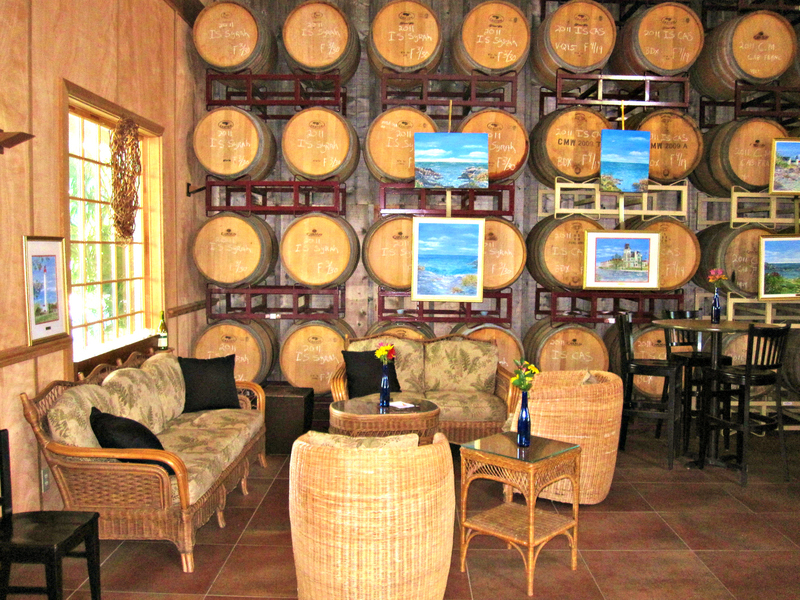 Try out a bottle of their white wine with seafood appetizers at happy hour. The Rusty Nail in Cape May. Rusty Nail: Formerly a hang out for lifeguards and surfers, the Nail is one of the most family friendly bars I’ve come across in some time. Live music, chairs in the sand, and a fire pit produce a perfect sun-faded happy hour vibe. Visitors bring their kids, locals bring their dogs. The Brown Room: Located in the lobby of the Congress Hall, this is one of the best spots to get a true cocktail. Chocolate-colored walls, soft lighting, and a large bookshelf give the place a warm feeling, and as the night pushes on and the crowd thins out it can feel more like a speakeasy than a modern hang out. Pull up a stool and pair the warm evening with an old-fashioned. Hot Dog Tommy’s: You might feel a bit weird when you order a leaner weiner, but take my word for it – it’s worth the 3 seconds of shame and you won’t feel as bad about taking off your shirt given it’s reasonable size. The Jersey Slaw Dog with cranberry coleslaw is a good choice. The Lobster House: The permanently docked schooner boat is a great spot to grab a bar stool and go to town on the raw bar, the waters off the coast of Cape May supplying the clams, calamari, and scallops. Watching the boats come in and drinking beer and eating seafood – I’m pretty sure that’s somewhere under the definition of beach town. The Ugly Mug: The ceiling is lined with mugs, but look closer. Some point inland, others point to the coast. A former watering hole for fishermen, a regular’s mug would face the sea when they were out fetching the fresh catch. Some have passed on, and their mugs remain aimed at the sea. You can still “apply” for one today, so go ahead – put in some time and grab an application. The Rusty Nail in Cape May, New Jersey (photo courtesy of Rusty Nail).